The events of the game occur in the three weeks between what happened in the second and third seasons of the series, which aired in 2013 and 2014 respectively. 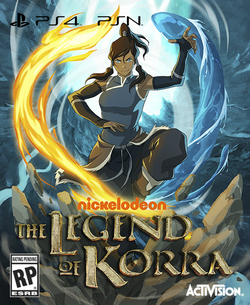 Korra is opposed by a “chi-blocker” who, at the start of the game, strips Korra of her bending abilities, which she has to regain in the course of the game. The game’s main villain, Hundun, is named after a chaotic entity in Chinese mythology. An ancient, evil being previously trapped in the spirit world, he was released into the physical world by Korra’s opening of the spirit portals at the end of the second season. The game sees him sow chaos in the world and pursue his grudge against the Avatar.